There are two sorts of people on the planet: those that don't use lists (and drive the others nuts because they are always forgetting things), and those who are list maniacs (and drive the others crazy because they are always ticking off, or adding to their lists). There is also a mutant of the species, the one who writes lists and then forgets it; this App could help them. If you belong to the latter camp, this is for you; if you belong to the former, it just might convert you, and if you are a mutant, you are made. When starting the App for the first time, you will be invited to choose where you want to store your lists; locally or on iCloud. You can always change this later. Although I'm not a fan of iCloud, this is probably a better choice than locally, especially if you use more than one iOS device, and especially if you accidentally 'lose' something. To start your first list just press the + and then enter a name for your list and press 'done'. You can reorder items in your list by dragging. Now just enter items into your list, pressing 'next' to add another and 'done' when you are finished. To complete an item, tap it and it becomes pale and drops to the bottom, thereby leaving the 'to-dos' clearly at the top. All lists can be edited, reordered and shared (as a message, Twitter, copied (for pasting into another App), or emailed. Provided you are saving your lists to iCloud, you can access them from other iOS devices; this is extremely useful. 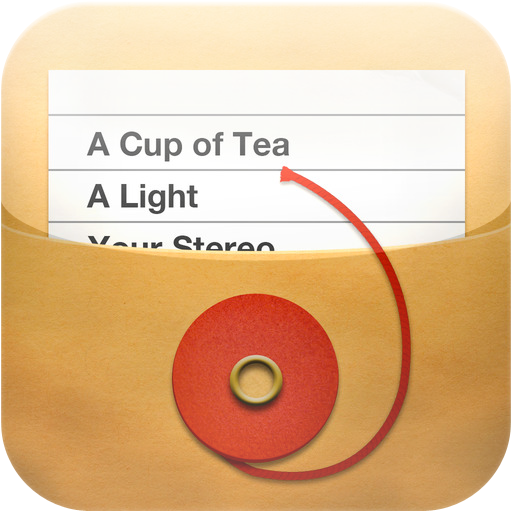 To me, lists are an critical part of survival... so an App for lists is essential, and this one is beautifully simple. The App is simple and very pleasing to the eye and works perfectly. There are no issues with the App itself. You just need to be careful about e-mailing your lists to the wrong person and the fact that you can have your lists stored in iCloud. You can get Ita here and support for the App here. This release of Ita fixes some bugs that caused crashes in Ita 2.0. We apologize for those bugs. If new bugs arise, rest assured that they too will be fixed.